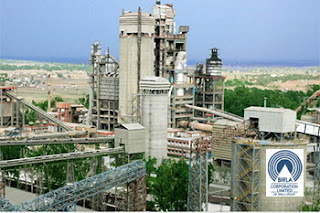 Shares of Birla Corporation fell 6% on the BSE after the company said National Green Tribunal (NGT) has ordered to stop all mining activities which are being carried on within the municipal limits of Chittorgarh City in Rajasthan. “The Principal Bench of National Green Tribunal on March 08, 2019 has ordered to stop all mining activities which are being carried on within the municipal limits of Chittorgarh City and within 10 km of Bassi Wildlife Sanctuary or within Eco-Sensitive Zone of Bassi Wildlife Sanctuary, if finally notified,” the company said in a regulatory filing. We are studying the implications of the above order on our mining operations at Chanderia and material impact, if any, will be intimated to the Stock Exchanges,” the company added. Birla Corporation Ltd is currently trading at Rs532.20 down by Rs32.6 or 5.77% from its previous closing of Rs564.80 on the BSE. The scrip opened at Rs540 and has touched a high and low of Rs540 and Rs485.10 respectively.